Burnout — a condition characterized by emotional exhaustion, cynicism, and feelings of reduced effectiveness in the workforce — impacts all caregivers and, in particular, threatens to undermine the physician workforce, endangering our health care system. So profound it has been described as “moral injury,” burnout results from a collision of norms between the physician’s mission to provide care and increasing bureaucratic demands of a new era. Evidence shows the worsening scope, severity, and impact of this public health crisis: Frustrating computer interfaces have crowded out engagement with patients, extending already long work days as physicians and all caregivers struggle to keep up with a soaring burden of administrative tasks. Nearly half of all physicians experience burnout in some form, and the number will continue to grow. The consequences of this epidemic on patients and physicians are clear, and physicians have affirmed a necessary and unwavering commitment to spearhead changes that will lead to solutions. Burned-out physicians who choose not to leave the profession are more likely to reduce their work hours. This reduction is already equivalent to losing the graduates of seven medical schools every year. Recruiting and replacing one physician can cost employers as much as $1 million. 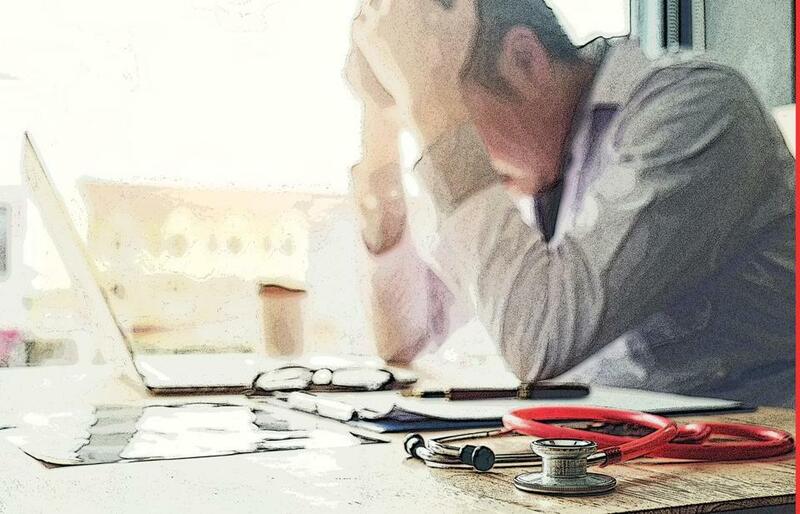 Burned-out physicians are also unable to provide the best care, with evidence suggesting that burnout is associated with increased medical errors. We cannot improve patient experience and population health while reducing health care costs without a strong and engaged physician workforce. A new report portrays a profession struggling with the unyielding demands of electronic health record systems and ever-growing regulatory burdens. What can we do? A lot. A new white paper produced by the Harvard T.H. Chan School of Public Health, the Harvard Global Health Institute, the Massachusetts Health and Hospital Association, and the Massachusetts Medical Society, proposes three key recommendations. First, we must support proactive and confidential mental health treatment for burned-out physicians and expand outreach, particularly for trainees, who are at a vulnerable stage of their careers. Physicians seeking care face stigma and professional obstacles, including probing questions about mental health in their medical license process. We recommend such questions be limited or eliminated. If they are included, these questions should focus on impairments impacting the physician’s current practice and competence, in the same way questions about physical health do. Second, we must improve the usability of electronic health records, or EHRs. Physicians must now spend much of an appointment clicking and typing, eyes glued to a computer monitor rather than engaged with the patient. The ever-increasing array of reporting systems and unhelpful alerts not only interfere with patient interaction, but also force physicians to spend additional hours completing administrative tasks that limit patient interaction and can harm patient experience and care. Fortunately, there are opportunities for improvements that involve more user-friendly mobile apps. We are also seeing the first results of a drive to make it easier for EHRs from one office or hospital to share critical patient information with another system (interoperability). Further, there is technical innovation under development around streamlining some of the most burdensome, time-consuming, and demoralizing processes for obtaining insurance company approvals for services and patient referrals. Improvements by EHR vendors and payers will require action by state and federal agencies. The US Department of Health and Human Services recently acknowledged that the burden of EHRs contributes to burnout, in its draft “Strategy on Reducing Regulatory and Administrative Burden Relating to the Use of Health IT and EHRs.” We encourage physicians and health care organizations to submit comments on how to make sure EHRs support both patient care and physician workflow. Third, and most important for the long term, we call for the appointment of executive-level chief wellness officers at every major health care organization. Several major organizations, including Stanford Medicine and Kaiser Permanente, have already done so, recognizing that burnout among physicians and clinical and support staff across every layer of their organization demands action. This is a welcome and necessary development and must be the first step in creating a professional learning community of health care leaders and providers sharing successful burnout remediation strategies. Over time, physician and clinician wellness among all health care providers must become a “dashboard” item for institutional CEOs and boards of directors. We believe strongly that there will be a substantial financial and patient experiential return on investment. This crisis could not be more urgent. If physician burnout continues to worsen, it will degrade the quality of health care our physicians and hospitals provide, in addition to increasing the profound harm to physician mental health resulting from the serious misalignment between the demands placed on them and their core mission of providing care. Fortunately, we have the tools to make changes. We need to take better care of our physicians and all caregivers so that they can continue to take the best care of us. 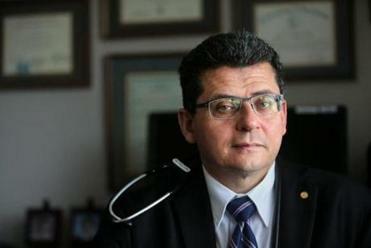 Dr. Alain Chaoui is president of the Massachusetts Medical Society. Dr. Steven Defossez is vice president of clinical integration at Massachusetts Health and Hospital Association. Dr. Michelle Williams is dean of the faculty at Harvard T.H. Chan School of Public Health.